Some surprising facts about Representative Paul Ryan's voting record on Cuba. Go to page 163 of the American Bridge report below. More "liberal" than Obama, or perhaps so far to the libertarian "right" that he gets some things right? What will Florida's Cuban voters think of this? (H/T Ariana Hernández @ EthnoCuba). NPR - Talk of the Nation: "What the future holds for Cuba's economy"
In Cuba, President Raul Castro has plans to reform the economy, but many challenges lie ahead before the country can move forward. Many of the changes are being implemented slowly because of resistance from within the Communist Party. (H/T Ariana Hernández @ Ethno-Cuba). Robin Prendes: (Sailing) Cuban-born Robin Prendes moved to Miami with his parents at the age of 6. He began to row there, at the American Barge Club, at the age of 12. Born in Matanzas, Cuba. Danell Leyva: (Gymnastics) Cuban-born Danell Leyva fled Cuba with his mother and older sister 18 years ago. Now here he was, gold medal around his neck, USA emblazoned on his chest. "I'll always be proud to have been born in Cuba. I'll forever be Cuban," Leyva said before the world gymnastics championships, where he won the parallel bars title on Oct. 16 to give the U.S. men their first gold medal since 2003. Manny Huerta:(Triathelon) Cuban-born Manny Huerta's grandmother fled Cuba in the 1980 Mariel boatlift. "She just said it was a very small boat, it was very crowded," said Huerta, 28. "She was just happy that she was able to make that trip. Thanks to her, we were able to move to the U.S." She was granted U.S. citizenship and then helped Huerta, his family get visas to join her in the U.S. In Cuba, Huerta's mother was a university physics professor. Now she's a driving instructor in Miami. Amy Rodriguez: (Soccer) "I'm really competitive," she says. "That's probably why my coaches always put me at forward because I'm the one that's always persistent, always the one that's going out there and play after play trying to make something happen. I'm part Hispanic -- my dad's Cuban -- so that fiery Latina attitude definitely [comes out] in my game." Rodriguez says she's pretty Americanized and only speaks a little Spanish. But there are plenty of family reunions where Grandma cooks traditional dishes like congri, a mixture of rice and beans. Christina McHale: (Tennis) Born in Teaneck NJ-- She is the daughter of John and Margarita McHale. Her father John is an Irish American while her mother Margarita was born in Cuba. Ryan Lochte: (Swimming) By now, you know all about him. Let's remind everyone that his mother was born and raised in Cuba and he loves his grandmother's cooking! His favorite food is Bistec empanizado, picadillo y ropa vieja. Yeah! 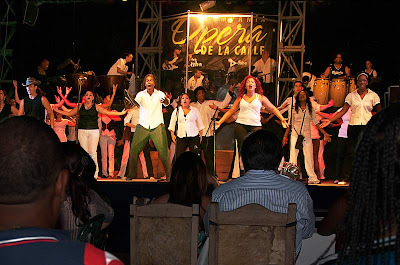 This is a test: Will "Opera de la Calle" be allowed to reopen? 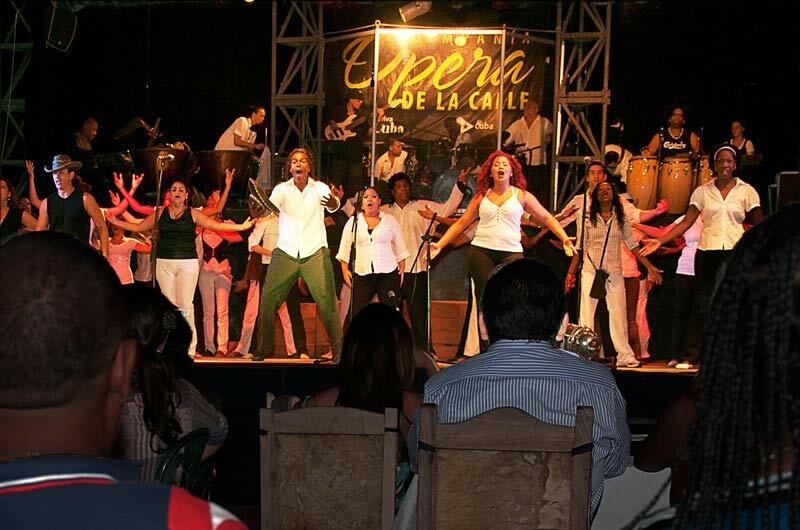 In the last few weeks, three of the leading foreign journalists who live in and regularly report on Cuba have published a series of fascinating installments in the ongoing, and as yet unresolved case of the private restaurant and cabaret "El Cabildo" and it's in-house company, "Opera de la Calle." 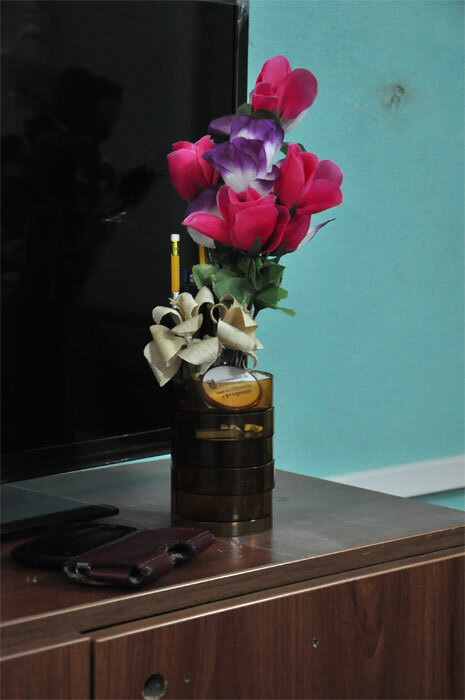 and cover its other overhead costs. Photo: Raquel Pérez. 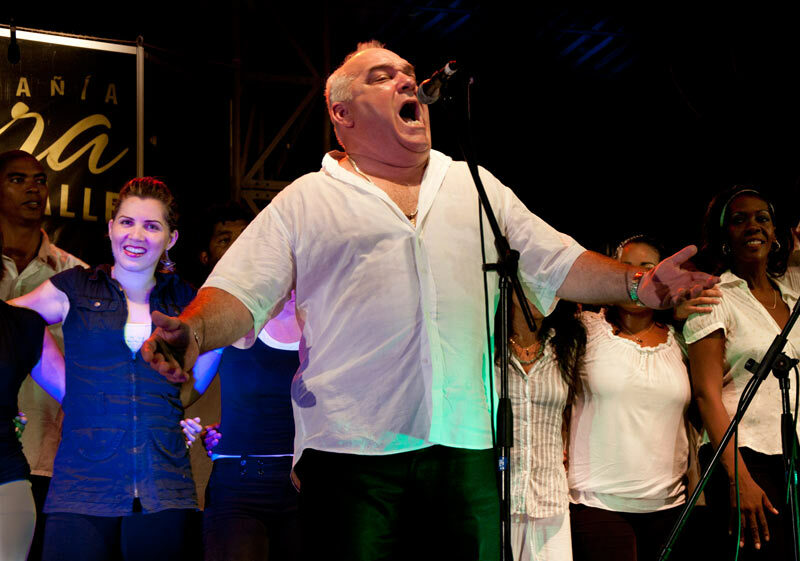 First, on July 11, Marc Frank of Reuters published a provocative article entitled, "In Cuba, an Opera Singer Builds an Empire." While the article is a great introduction to El Cabildo and its resourceful and revolutionary founder and director Ulises Aquino, perhaps Frank should have left the word "empire" to government propagandists. Soon after the article was published, Aquino was called to account by the authorities and, apparently unsatisfied with his explanations of his business plan, they carried out a surprise raid on his operation on Saturday, July 21, interrupted his show, pulled him off the stage as the shocked audience looked on, and proceeded to carry out a 4-hour inspection. As was later reported by BBC correspondent Fernando Ravsberg on his blog "Cartas desde Cuba" (and at Havana Times in English), in the end, Aquino was stripped of his various business licenses for a two year period and accused of a number of economic crimes including having too many chairs (150) for a private restaurant, serving products whose origins could not be determined, having unauthorized employees, and, most galling, of undue "enrichment" since he charged his patrons a $2 cover and paid his employees the equivalent of $80 a month (roughly 4 times the average state salary). The latest update on the story was reported by the always intrepid and incisive NPR/Global Post correspondent Nick Miroff. According to Miroff, the case has sent shock waves through Cuba's fledging community of private entrepreneurs since Aquino seems to have been punished for doing exactly what the government of Raul Castro has been promoting: creating well-paying jobs in the non-state sector and reducing the economic burden on the government. However, it seems that not everyone - especially those Aquino calls "mid-level bureaucrats endangered by all these new opportunities" - is on board with tolerating, much less promoting, Cuba's new entrepreneurial sector. You can listen to Miroff's excellent NPR story here. Miroff notes that this is a test case whose outcome will show how serious Raul Castro's government is about the depth and permanence of its economic reforms. 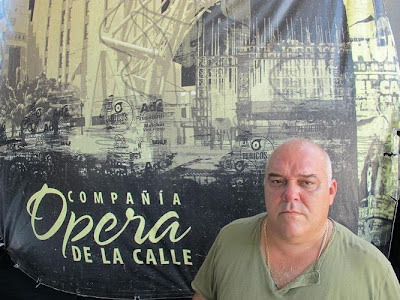 "If they intervene to help re-open El Cabildo," writes Miroff in his related Global Post story, "they will send a clear signal that Cuba's new small businesses deserve encouragement, not strangulation." However, if the operation which employed as many as 120 workers (being perhaps the largest private business on the island) is left to die a bureaucratic death, it will show "that the skeptics are right, and Cuba hasn't changed much after all" (as Miroff notes in his NPR broadcast). "The [real] loser here won't be me. It'll be our country." among his 130 employees. Photo: Nick Miroff for NPR. Readers can read more about "Opera de la Calle" on John McAuliff's blog and a bit more about the case at Diario de Cuba. Be sure to check back here or follow me on Twitter @ElYuma to see how the story ends.